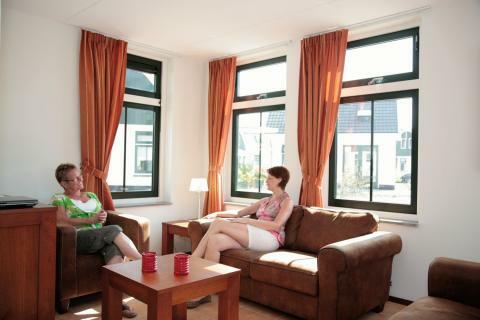 Hogenboom Résidence Koningshof in Schoorl - the best offers! Hogenboom Résidence Koningshof is a peaceful park on the coast of Schoorl. Enjoy the dunes, the beach, the sea and the surrounding villages and cities like Bergen and Alkmaar. 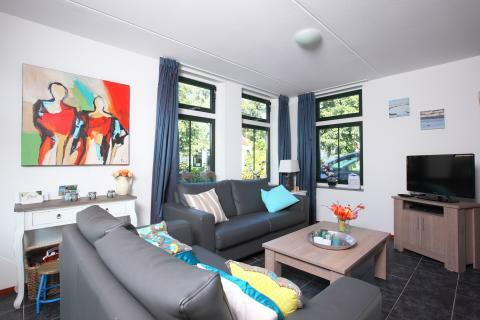 This price applies to 4-person cottage Koningshoeve, with the arrival as 11 June 2019, 3 Nights. Hogenboom Résidence Koningshof lies at the edge of the dunes in Schoorl. The surrounding area of dunes, beaches and the sea allows you to relax and unwind. 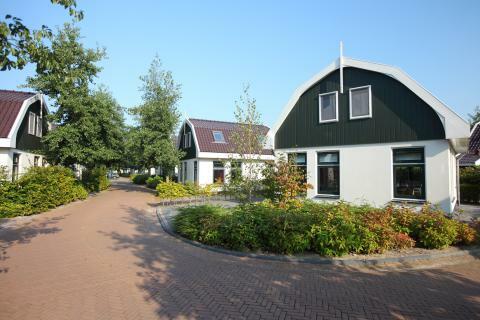 The beautiful detached cottages at Hogenboom Résidence Koningshof are designed in the traditional Dutch style. If you are really in need of a relaxing holiday, book a cottage with a solarium and an infrared sauna. For a day of exploration you can rent a bike at the park. There is plenty for children to do in the surrounding area. The climbing dunes are very popular, and there is a fantastic aquarium in Bergen aan Zee. There’s also a riding school in Schoorl and an outdoor park in Alkmaar. Schoorl is known for its bustling centre, full of bars and restaurants. If you want to take the kids out for dinner, ’t Trefpunt is highly recommended. In the modern restaurant Zilte Zoen, you can enjoy an international dish in the beautiful garden area. There is also a bakery service at the park. Hogenboom Résidence Koningshof is located on the edge of the Schoorl Dunes National Park, where you can find the highest and widest dunes in the whole of the Netherlands. There are stunning hiking and biking trails in the area, including a very challenging mountain biking trail for those who want to push themselves to the limit! The beach of Schoorl is quiet and relaxed; perfect for sunbathing or trying out some water sports activities. Further afield, you’ll find the typical Dutch landscape of windmills, tulip fields, farms and villages. The artists’ village of Bergen is very close by, and if you want a real shopping session you can head over to the traditional Dutch city of Alkmaar. It is possible that the parking space at your cottage is not big enough for your car. In that case you can park your car at the central parking space of the holiday park.